Every website must have a Links page! 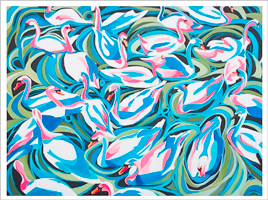 My son James' partner is Steven Keating, who with many talents is a most accomplished artist. His website may be found at this address ("strettonartist"), he being located in the area of the Strettons, our town and adjacent villages, in Shropshire. I should also like to direct you to the site of a class-mate at school back in the 1950s. 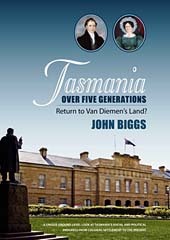 He is Professor John Biggs, now retired (in Tasmania) but most active now as writer of both fiction and non-fiction. His website is at this address. DIGITAL PHOTOGRAPHY: Not many sites to which to refer you, but I do recommend the RPS club site and individual enthusiasts. Click on the blocks below to take you directly to these. <<< The Royal Photographic Society, the venerable organisation of which many serious photographers in UK and beyond are members. Worth joining for any wanting to learn, to discuss and to enjoy their photographic hobby. Some RPS members : Gitta Lim, LRPS, Glenys Taylor, ARPS, Paula Davies, FRPS, John Long, ARPS, Graham Whistler, FRPS, and Clive Haynes, FRPS (excellent for Photoshop tips). Some sites providing advice on Photoshop techniques: The Russell Brown Show; Cambridge in Colour; Ken Rockwell; Digital-Darkroom. This is in Church Stretton and its site is at Long Mynd Camera Club. POPULATION: Already mentioned in the"Population" section, some useful sites for reference are: "Population Matters" and "WWF". Additionally, for statistical reference, please try: "United Nations Population Division" and the UK department responsible for all government statistics: "Office for National Statistics". For an Australian site, go to "Sustainable Population Australia", and I find a good US site is: "Population Reference Bureau". REINSURANCE DISPUTE RESOLUTION: Previously mentioned is the arbitration society for reinsurance disputes. Its website may be found at: "A.R.I.A.S. (UK)". A handy database of decisions in recent court cases in the Commercial Court, Court of Appeal etc is provided at "British and Irish Legal Information Institute" (BAILII). In England and Wales, arbitration is subject to the "Arbitration Act 1996", qv. Which just leaves the missing-link. My e-mail address is .